Conserve Energy with Home Automation | Professional Alarm Inc.
With the advancement of smart home technology over time, the result has not only been convenience for the resident, but energy efficiency as well. With control over many household functions and the ability to set personalized schedules, conserving energy has never been easier. It’s no surprise to anyone that some of the easiest ways to save energy are to efficiently manage your lights and your heating and cooling system. According to Energy Star, some of the best practices for saving energy are to turn these off when not in use, and take advantage of natural light by utilizing blinds and curtains. With Professional Alarm’s home automation systems powered by Alarm.com, set custom schedules to ensure your thermostat and lights are not costing you money when you are not home. Later on, review reports to optimize your schedules to save you money. There are many features that Professional Alarm offers to not only help you conserve energy, but also help make your life easier. These are only some of the features that are helping homeowners from all around conserve energy and be more responsible with their energy usage. There are more benefits that not only save you money, but also help optimize your home to your unique needs. This award-winning technology uses your location on your smartphone to automatically set your thermostat into energy saving mode when you leave, and reset for comfort when you come back in range. Save money automatically on extremely cold or hot days. 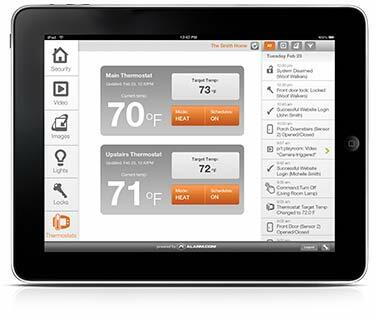 You can set your thermostat to automatically adjust a few degrees up on hot days or down on cold days. You will not notice a difference but you will be saving money and energy without noticing a difference in comfort. The connection between your thermostat and your security system takes the intelligence of your home to a new level. Based upon data collected from various sensors around the house, the system learns your patterns and makes suggestions for optimal energy performance. 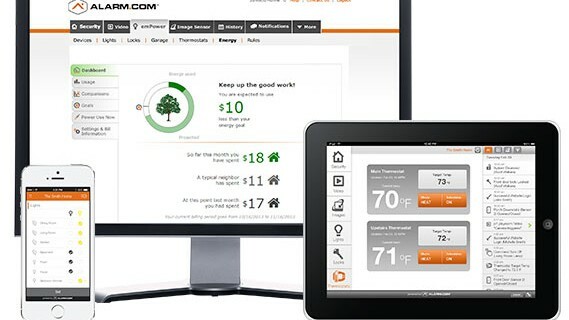 Energy management has never been easier. 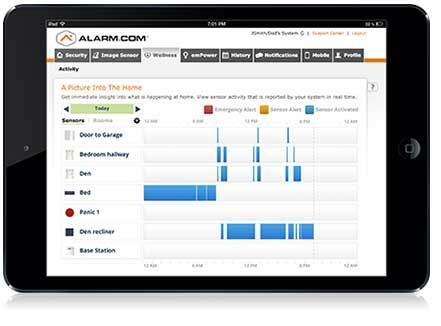 With your home fully connected through Professional Alarm system powered by Alarm.com, you will be able to save money and stay comfortable automatically. If you are looking to conserve energy with your household, the award-winning solution to saving energy is the most advanced system on the market. Experience effortless energy management and focus your time on the things you really care about. Learn more about our Premier Solution now, and start enjoying a home thats almost as smart as you are.